Filing for either chapter 7 or chapter 13 bankruptcies is a stressful and, sometimes, overwhelming process. Therefore, it’s a good idea to know just what you’re up against before you get started. And, while it may seem hypocritical to spend more money when you are already so far in debt, there are some fees that usually must be paid in order to complete the process of successfully filing for bankruptcy. Chapter 13 bankruptcy still holds the bankrupt individual accountable for paying off some of the debts. The filing fee that accompanies this type of bankruptcy is $310, as of June 1, 2014. Chapter 7 bankruptcy means that all of your debts are wiped clean, and you may begin rebuilding your credit immediately without having to worry about making extra payments to creditors. As a result, filing for this type of bankruptcy comes with a slightly higher fee of $335. However, these fees are subject to changes from time to time, and it’s best to keep an eye on developments for increases in the amounts. 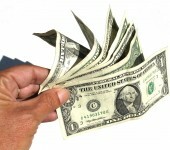 There are a few ways around these fees, and a good Bryan bankruptcy lawyer can help you apply. One method is an application to pay the amount in installments, rather than in a lump sum. You must propose a payment plan that is no longer than four installments and may not last longer than 120 days after the original petition is filed. If your total income is below 150% of the poverty line and you are therefore unable to make the payment in installments, you may apply to waive the fee entirely. In this case, you will have to appear before a judge to be questioned on your eligibility for the waiver. Your bankruptcy lawyer can help you decide what the best option is.